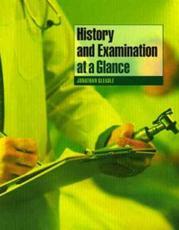 History and Examination at a Glance will be an essential resource for all medical students as well as students in other health professions. It is ideal for clinical training, for the run up to OSCE as well as other clinical examinations and it will be a cornerstone to clinical attachments! The book is designed to fit into the reading time as well as the budget of students and trainees.